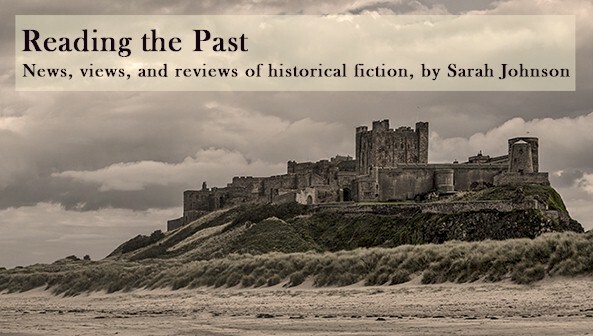 This is the third work by historical novelist Deborah Swift that I've covered on the blog, and by now I know what to expect: consummate details on daily life and artisanship in 17th-century England, rounded characters, and sensitive evocations of faith, all wound together into a steadily paced plot about honor and redemption. This isn't to say the books are otherwise similar, though, because they aren't. The distinctive characters grow and change throughout the course of each one, and her plots offer plenty of surprises. This last holds true especially for Swift’s newest release, A Divided Inheritance. It begins in early Jacobean London but wanders down to Seville partway through – which adds an exciting new dimension to the story. Elspet Leviston is the principal heroine. A loyal daughter and smart businesswoman, she’s an indispensable part of her father Nathaniel’s lacemaking operation, but he doesn’t recognize her worth. She also has to put up with threadbare carpets in their home and overly worn gowns; despite the success of Leviston’s Lace, her father is a skinflint. Then, when a man claiming to be her cousin insinuates his way into their household, Elspet's life begins heading downhill. Zachary Deane is a cloak-snatcher and general troublemaker who has an insatiable desire to become a master swordsman, and the training he wants isn’t cheap. Nathaniel, thrilled to have a male heir to carry on his business, has good reason to believe that Zachary is his relative. He accepts him into the family and, after Zachary gets into one too many fights, sends him on a Grand Tour across Europe. Unfortunately for all concerned, Nathaniel passes away suddenly, and the will he leaves behind favors Zachary. This sets Elspet and Zachary against one another and forces her to travel south in hopes of confronting him and regaining in full the inheritance that’s rightfully hers. One of the taglines on the cover is “a country divided by faith,” a phrase with a double meaning. In England of 1609, four years after the Gunpowder Plot, the Catholic Levistons must conceal a priest in their home as he travels from place to place. And in Philip III’s Spain, where Elspet rejoices that she can attend mass without censure, members of the Ortega family, conversos of Muslim heritage, see their neighbors carted away for cooking meat on Friday. During these troubled times, one person’s religious liberty is another person’s oppression, and this is just one of the subtle yet effective ways this concept is illustrated. As the novel moves along, what seems at first to be a straightforward plot turns into something much richer and deeper. A story of familial strife and deceit becomes a multifaceted tale about the consequences of religious intolerance, the expiation of guilt, the importance of family, and the appearance of unexpected love. And swordplay! The action sequences are as sharp and dazzling as Zachary’s hand-forged blade. But I’ll say no more. The unpredictable nature of the second half in particular is another strength of the book, so I’ll save the full experience for others to discover. 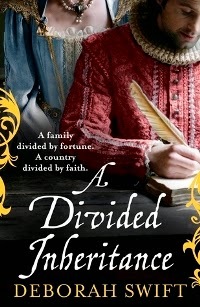 A Divided Inheritance was published by Pan Macmillan in October at £7.99 (pb, 528pp). This review forms part of the author's virtual book tour; thanks to the publisher for sending me a review copy. See also my earlier reviews for Deborah Swift's The Lady's Slipper and The Gilded Lily. I really enjoyed this one too! It was the first of Deborah Swift's novels I've had the pleasure to read, and now I can't wait to read her two others. I especially like how she handles settings, and it's always good to see more novels set in the 17th century. The Lady's Slipper may be my favorite of hers.